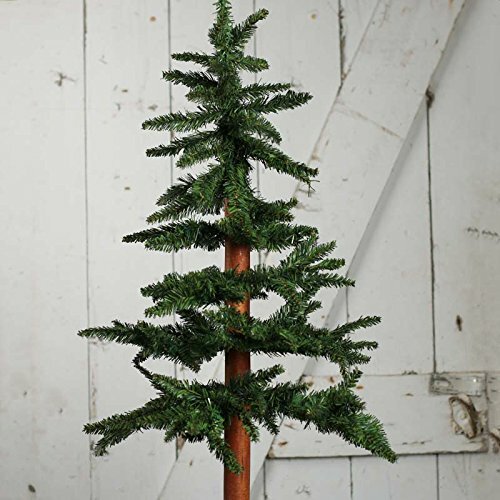 This ALPINE SKINNY CHRISTMAS TREE is the perfect little tree for apartments, offices and small rooms. It has a bark wood center and black metal base. There is some assembly required.